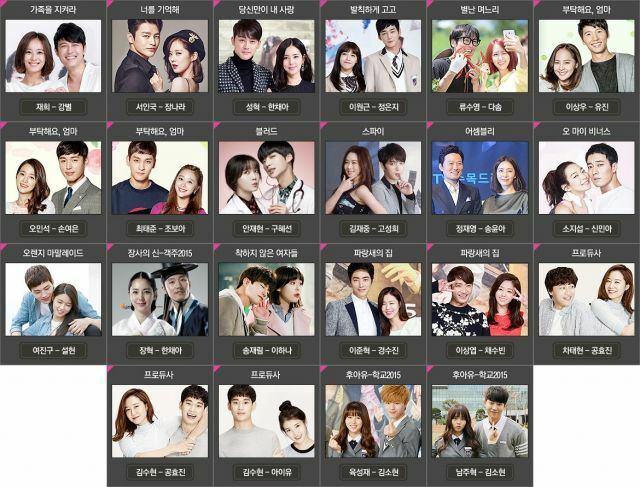 KBS Drama Awards 2015 Nominees for 2015/12/31 ceremonies presented by Kim So-hyun and Jun Hyun-moo. 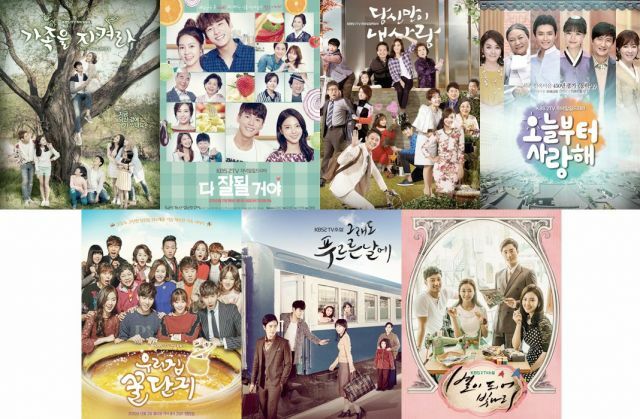 "Remember You", "Cheeky Go Go", "The Eccentric Daughter-in-Law", "Masked Prosecutor", "Spy - Drama", "Oh My Venus", "Orange Marmalade", "Producers", "Who Are You - School 2015"
"Blood", "Assembly", "The Merchant: Gaekju 2015", "Unkind Women"
"All About My Mom", "Jing Bi-rok", "Blue Bird Nest"
"Protect the Family", "Everything Will Be Alright", "Only You My Love", "Love From Today", "The Honey Pot", "TV Novel - In Still Green Days", "Shine Like the Stars"
"Thank You My Son", "Snowy Road", "Oh! Grandmas", "Drama Special - Contract Man", "Drama Special - What is the Ghost Doing? 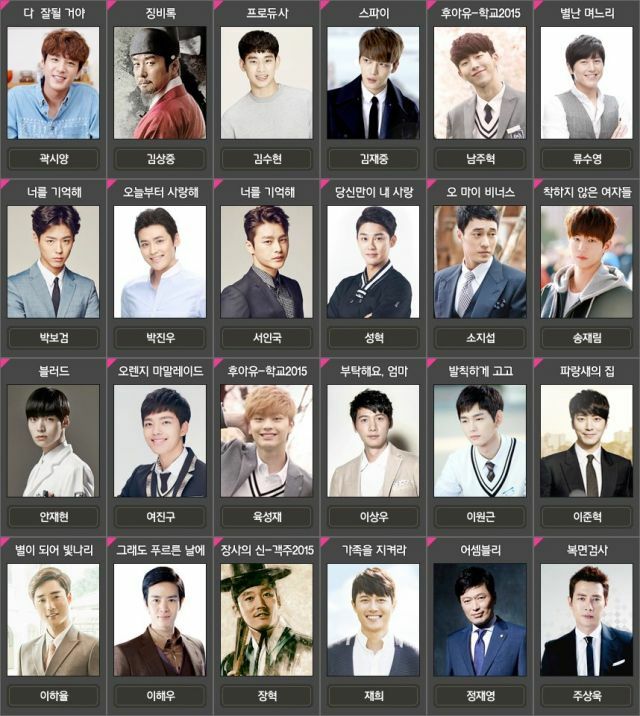 ", "Drama Special - The Brothers' Summer", "Drama Special - Unfamiliar Story", "Drama Special - Trains don't stop at Noryangjin station", "Drama Special - Live Shock", "Drama Special - Red Moon", "Drama Special - Secret", "Drama Special - Pa", "Drama Special - Finding Argenta", "Drama Special - Fake Family", "Drama Special - Stay Still", "Drama Special - Hair Day", "Drama Special - The Wind Blows to the Hope", "Drama Special - Funny Woman"
Upcoming Korean drama "Happy Home"
Upcoming Korean drama "Heaven's Promise"